Oh, Christmas in New York City, what an experience it truly is. While the stores are beautifully decorated, the restaurants decked with lights, and the crowds start to form at the city’s many well-known holiday sites (see full to-do list below), getting a Christmas tree in the city is not quite the quintessential holiday experience – at least not what I was accustomed to growing up in the suburbs of PA! Each year Matt and I set out up and down the street corners wheeling and dealing for a tree vendor that isn’t trying to charge an arm and a leg. But seriously, the prices can be insane. The vendor closest to our apartment was charging $150 for a 6ft tree. We ended up settling for a vendor a few blocks away that would cut that price in half. Unlike a tree farm where you can spend hours debating the perfect tree, most of there trees are wrapped up and you just choose one blind, hoping it works out! A crazy arm, back and leg workout later as you haul the tree back to your apartment and shimmy the tree into the elevator (or your walk-up!) 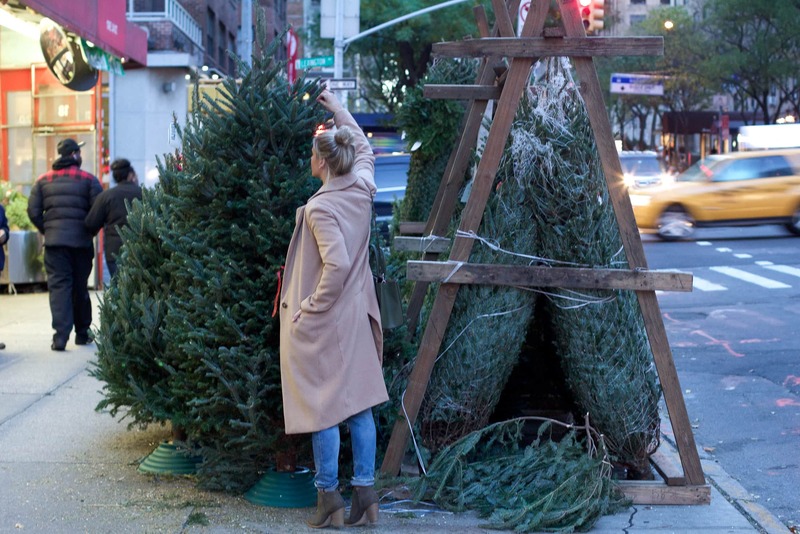 you have officially become a holiday New Yorker! 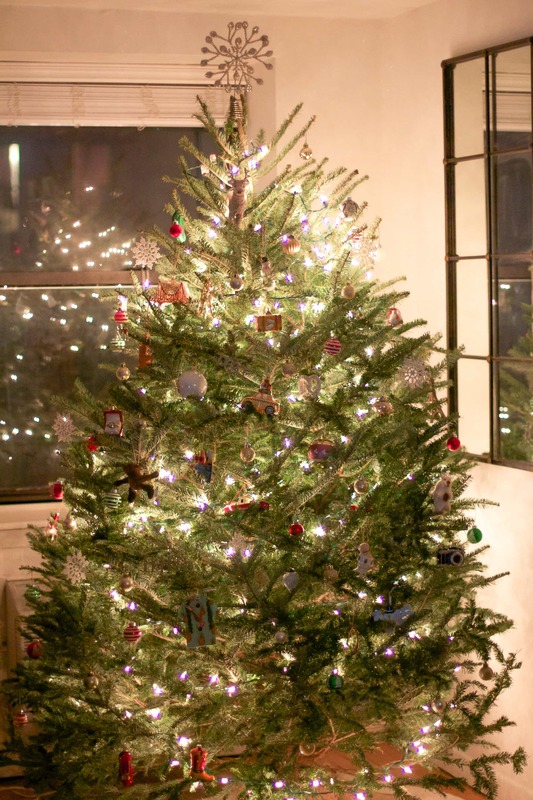 Although the tree-situation is not ideal in NYC, its one of those experiences that I know I will look back at and think about the holidays that I lived here with fond memories. But I must admit, I am looking forward to recreating my childhood experience one day by driving out to a tree farm, finding and cutting down the perfect tree. This year, when we “unwrapped” our tree, it had a bit of a side tilt situation. We laughed about it while decorating and just told ourselves it brings loads of character. You can see the finished product pictured below! Having lived here for a few years now, I wanted to list out a few festive things to see and do if you are visiting New York during Christmas. Head to Rolf’s for a bite to eat and experience holiday cheer and decor like you have never seen before!